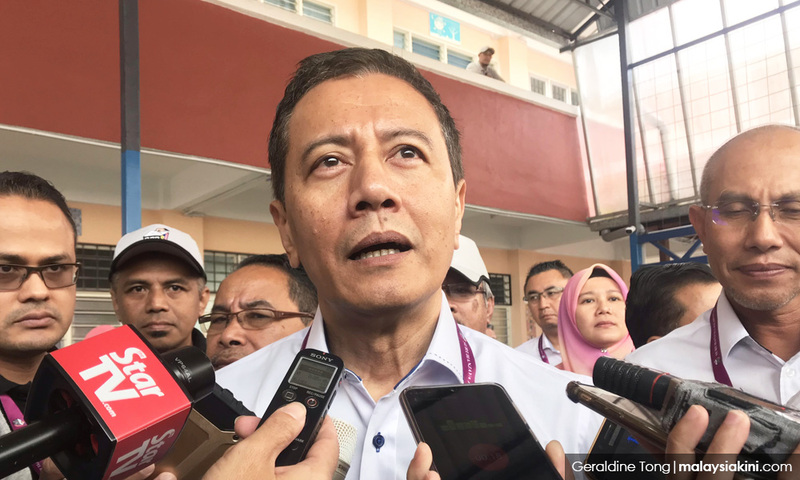 A registered voter in the Semenyih state constituency has filed an originating summons against the Election Commission seeking to stop the commission from holding the Semenyih by-election scheduled for next month. Apart from the EC, the plaintiff, Sabariah Mohd Shariff, 58, also named EC chairperson Azhar Azizan Harun and the federal government as the defendants in the summons filed via the e-filing system through Messrs Azam Aziz Shaharudinali & Co last Friday. Speaking to reporters at the lobby of the Sultan Salahuddin Abdul Aziz Shah Court Complex in Shah Alam today, Sabariah said she decided to file the originating summons after the question on whether the EC was an entity constitutionally constituted under the Federal Constitution became a hot topic of debates in the social media. “Looking at the political development of today, I think that it is my responsibility as a voter in Semenyih and as a Malaysian citizen to do something that is in line with the principles of the rule of law. “We are made to understand that this summons was the first of its kinds in the country. We leave it to the court to decide whether the EC is a legal entity or not as only the chairperson is running the commission right now. The deputy chairperson and the five other members have resigned on Jan 1 with the consent of the Yang di-Pertuan Agong. “According to Clause 114 (1) of the Federal Constitution, the EC shall consist of a chairperson, a deputy chairperson and five other members appointed by the Yang di-Pertuan Agong after consultation with the Conference of Rulers,” he said. Polling for Semenyih by-election is set on March 2, while early voting on Feb 26.